Rainer never refers directly to the Open Letter from Asian American community to the Evangelical Church, but folks closer to the decision have said that the letter brought the Rickshaw Rally controversy back into present-day discussions. As Asian American Christians, we have all sorts of cultural nuances and baggage that perpetuate self-silencing in the name of maintaining harmony and perceived peace. Sometimes that “peace” has been at the cost of identifying and celebrating the unique gifts and blessings our cultures bring to the diverse Kingdom of God. The Open Letter and the many voices it helped amplify and release is progress. The apology is progress. I’m anxious. I am trying not to worry about how I will do and focus on the message I have on my heart, the message God has been pushing and pressing into my heart and into the shredded margins of my day-to-day. I don’t think ambition is wrong. I think many of us are afraid of what ambition will do to us, bring to us, how it will challenge us in what we believe about and value in the world, God, and ourselves. And I’m thinking a lot about ambition because my oldest has gotten her first college acceptance, and she has her first audition tomorrow. She has dreams, goals, hopes, and ambitions. She is a dancer. Dancers want to dance. My heart and mind are distracted by her ambitions, and as her mother, not as a speaker, I am trying to embrace the moment, face my fears, and prep, which leads to the third part. We leave in three hours or so to Kalamazoo. Bethany’s audition is for the dance program at Western Michigan University, and I am incredibly nervous. And I don’t have to do anything! And as I try to finish this post and make my mental packing list there is a lovely sense of convergence. My daughter is a “good” student and she is an artist. Last year she choreographed a piece that took my breath away and left many in the audience reflecting on the power of dance. She doesn’t become a different person when she performs. She becomes more of who she is. And every time I tell someone she wants to major in dance she is breaking the model minority stereotype that doesn’t seem harmful or hurtful until you are the one either in the teeny, tiny box of what is acceptable or outside of that box being told you are failure. She hopefully will do with her art what I have been trying to do with mine – creating opportunities for progress, pushing fear aside, identifying God-given gifts as something to exercise and explore. And just like that, it’s time to go. What are the things you faced today? When I was in high school I wanted to grow up and be a journalist. I wanted to write for a major metropolitan market daily and be a section editor by the time I was 30 years old, to be precise. I imagined what life would be like, considered the possibilities, didn’t rule out marriage or children but tried not to worry about it too much. I did the internships, collected the clips & recommendations, and utilized the career center like a boss. I was disappointed at the rejection letters, and then I started collecting them & correcting them for errors. I posted the rejections and numbered them. My apartment-mates agreed with me that editors who misspelled words on rejection letters weren’t worth working for, and those same apartment-mates greeted me at the airport celebrating what would be the first of two job offers. And in all that time I never doubted my ambitions were part of my faith journey. Following Jesus meant dreaming, trying, failing, dreaming some more, and stewarding the gifts and talents I knew I had. There was always doubt, but there was always faith. I also knew that my ambitions were never completely my own. My parents and I immigrated to the US when I was eight months old. My life as the child of recent immigrants would never be “my own”, and I understood that before I understood what giving my life to Jesus meant. Sacrificial living is part of my Asian American DNA. But somewhere between the age of 21 and 43 the doubts went deeper. Was being ambitious selfish? Could a faithful Christian woman still claim ambitions? How could I reconcile surrendering my life to Jesus and pursue my ambitions? The books I have read on leadership, discipleship, and parenting have all mentioned goals and achievement, but for some reason it began to feel less safe, less feminine, less godly like Mary and more like Martha to be ambitious. Somewhere along the way my voice changed, and somewhere along the way I recognized the difference….and I didn’t like it. But to find your voice can be dangerous because you have to choose things and take risks and speak. Sometimes it has been clear as day; some opportunities were a “no” without a doubt. But some opportunities are the ones we secretly hope for. Some opportunities are the ones I secretly hope for. The hopes are secret because who in their right mind tells anyone, “I’d love to be the speaker at a conference”? I don’t. Well, actually I do. Indirectly. I have a page on this blog with testimonials, my schedule, and my contact information. I’ve been told I should have a speaker request form plug-in. I’ve secretly wanted to speak at conferences, churches, and retreats. A secret ambition becomes reality next month. I’ll be one of 12 presenters at Q Women & Calling next month in NYC. Well, how was that for burying my lede? I am terrified. And that’s OK.
I’ll be speaking on ambition with a voice that I pray is mine, embodying my Asian American Christian woman/friend/wife/mother/daughter/sister/neighbor thing. 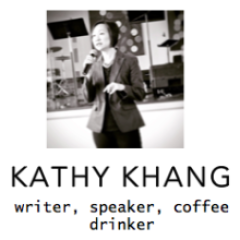 So as I finish prepping, fretting, and prepping some more (18 minutes is not a lot of time for a woman who grew up in a Korean American church) I would appreciate hearing from you. What, if anything, is wrong with ambition? How can Christian faith and ambition co-exist? Or can it not? What are your secret ambitions? What keeps you from pursuing them?